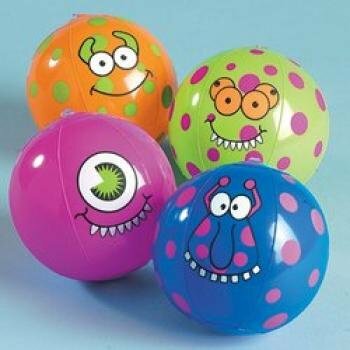 Inflatable Mini Monster Beach Balls. These creatures are friendly, not fearsome! 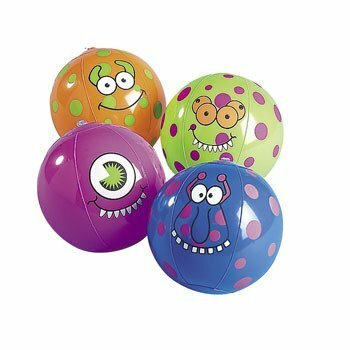 Kids love the silly monster faces on these vinyl beach balls, and they love receiving them as beach party favors. 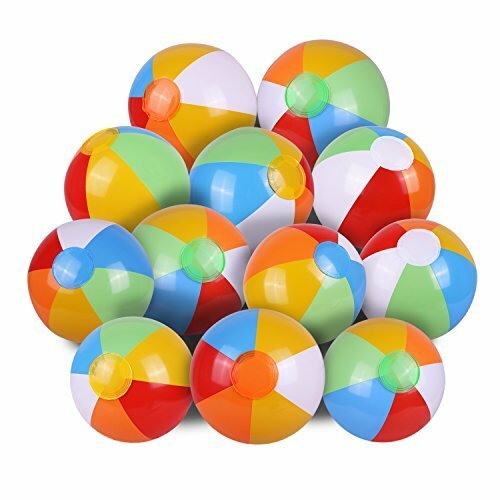 Because of their compact size, you can use these colorful beach balls in a variety of fun pool games! Inflated, approx. 5"; deflated, 7". Spooky summer fun! These 9" beach balls decorated with cheery monster faces come in assorted styles and colors. 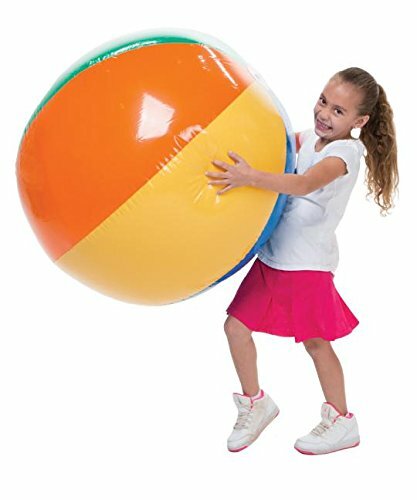 12 Inflatable Mini 7" Monster Beach Balls . Cool accessory for your pool, a beach trip, or just for throwing around. 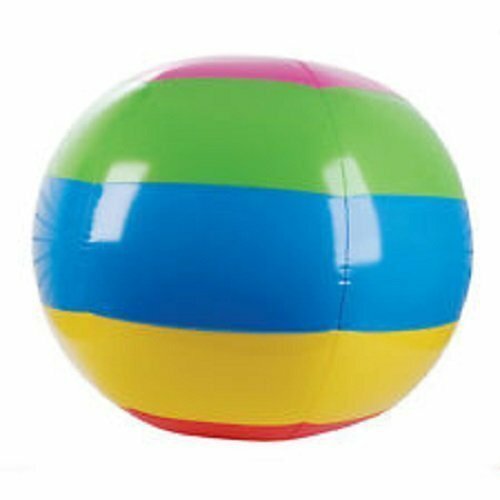 US Toy Inflatable Giant Beach Ball, 48"
Huge Beach ball. 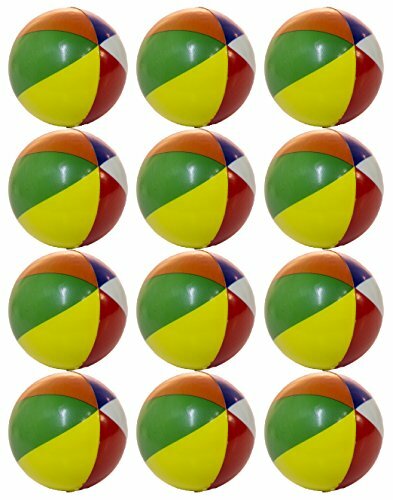 Classic Beach Ball Colors. Great addition to any Party. Brand New. 51"/130cm Tall Inflated. 72"/183cm Flat Measure From Top To Bottom. Great for any Swimming Pool, Beach, Stadium, Party or Backyard Fun. 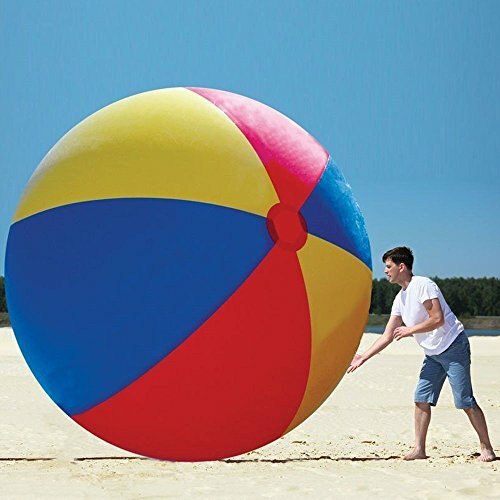 40"(3 1/3 Ft.) Tall Inflatable Large Beach Ball Party Fun, Monster Ball. 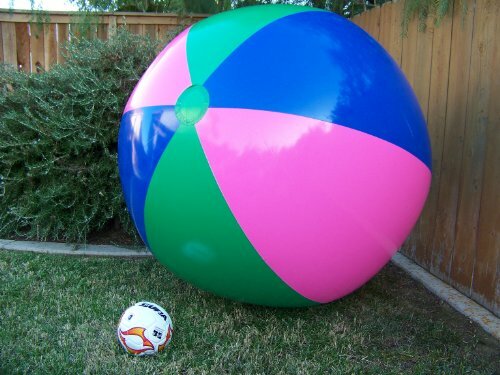 Huge Beach ball. Great addition to any Party. Brand New. 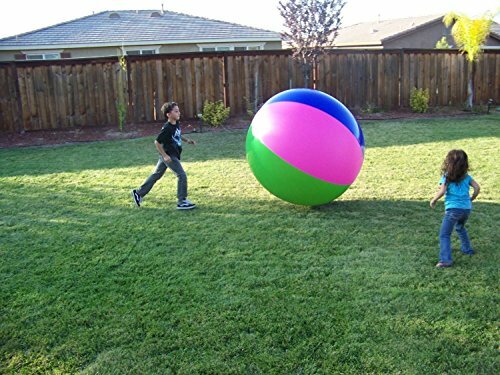 40" or 3 1/3 Ft Inflated Tall Great for any Swimming Pool, Beach, Stadium or Backyard Fun.